OAKLAND, Calif. (KGO) -- A group of Golden State Warriors' in the making gathered at the Oracle Arena for a unique spring break experience. 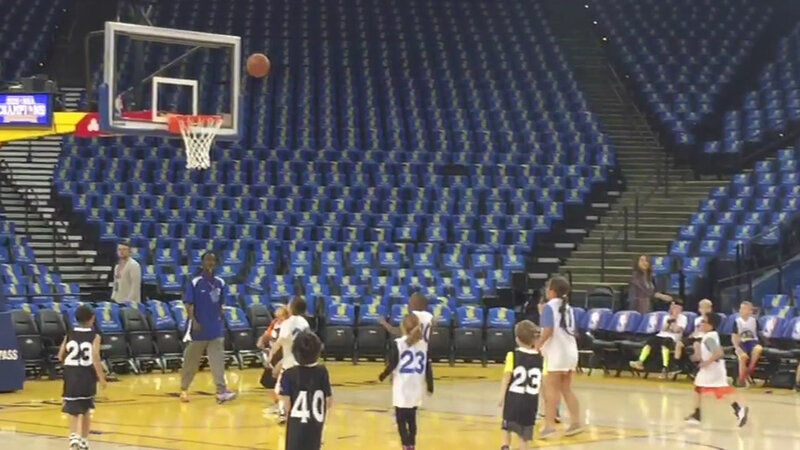 Dozens of kids participated in Tuesday's Spring Break Skills Clinic at Oracle Arena. The wee Warriors dribbled the ball up and down the court like pros, not to mention scooping some impressive shots.